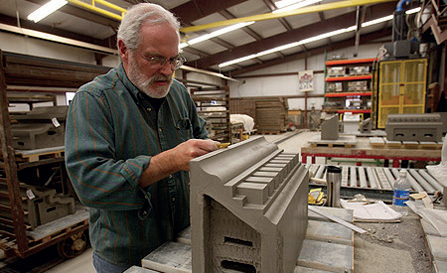 Boston Valley Terra Cotta is the United States most specialized Architectural Terra Cotta manufacturer. A team of Artisans, Architects, and Engineers are committed to detailed craftsmanship, quality, innovation, and service in Historical Restoration and New Construction. The IT team have deployed RealVNC® remote access software with an Enterprise license and VNC Viewer for IOS to enable them to remotely monitor and support the kilns and dryers used for the production of clay products. The use of the software helps to ensure any machinery problems are resolved fast to prevent damage to products and equipment, or delays in production schedules. With the kilns and dryers producing terra cotta products running 24 hours a day, Boston Valley Terra Cotta wanted a solution which would provide its IT team with the ability to remotely monitor production and resolve IT problems as and when they occur. The need for the IT team to act quickly when problems surface is vital as any damage to products can be costly. Boston Valley Terra Cotta therefore required a cost effective solution which would ensure downtime of the production facility is kept to an absolute minimum. Previously, problems with the machinery would have required a member of staff to travel to the site to fix, whatever time that may have been. With RealVNC software now deployed throughout its production facility, Boston Valley Terra Cotta staff can remotely monitor progress and repair problems from their PCs as soon as they arise, without the need for inconvenient travel. RealVNC software with an Enterprise License was chosen primarily for its ease of use. This, along with its robust security and reliable connection, meant RealVNC® software was the ideal solution for Boston Valley Terra Cotta. RealVNC remote access software has succeeded in reducing downtime, resulting in happier staff and minimized risk of costly product damage. Boston Valley Terra Cotta has also purchased VNC Viewer, the RealVNC iPhone application, to enable IT staff to monitor the machinery via their iPhones and iPads. 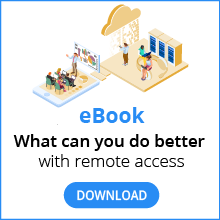 This option provides them with the ability to connect to the machinery, check progress and resolve problems from any location, regardless of whether they have access to a PC. The additional flexibility the application brings to Boston Valley Terra Cotta staff is hugely beneficial in terms of staff time and the effective management of the production process. In addition, by connecting to the RealVNC software with an Enterprise License, IT staff can be certain that the connection is secure. Boston Valley Terra Cotta has now the ability to monitor the production facility and prevent machinery problems remotely and securely 24/7.